There are lots of different jobs available in Ayia Napa each summer; most will require you to be outgoing, great at talking to people, be reasonably attractive and a natural salesperson. The one thing they all have in common is that lazy people need not apply. If all you want to do is get as drunk as you can and party all the time then you really won’t last very long as a worker in Ayia Napa. You need to be able to combine having the time of your life with being reliable, presentable and able to carry out your job. Many people will do more than one job over the course of their time in Ayia Napa. This could be because they don’t like the job or the people they work for or with, or it could be that they get fired. If you leave a job on bad terms then chances are other business owners will soon hear about it and you will find it hard to then get a job anywhere else. Ayia Napa is a small town so if you are labeled as unreliable, dishonest or being a troublemaker then you might want to think about getting a flight home. Click to read more about each job, what skills are required and how to apply. 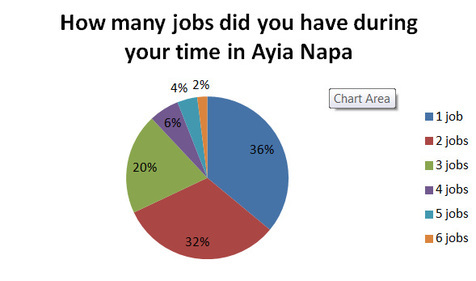 To find a job in Ayia Napa it is often a case of asking in bars/clubs/shops etc and speaking to people. There are some venues that will take staff who apply before they arrive and can usually find details on each businesses Facebook page. There are some businesses will only employ people on the spot though. They will want to see what you look like and if you have the right personality. They can't tell this by email or from a CV or through Facebook. There are still many of the bar and club owners and managers in Ayia Napa who are either not on Facebook or don’t look for staff on there. Some places do now take on staff before the start of the season. This is usually online through each businesses website or Facebook page. To get a job before you arrive in Ayia Napa you must make your application really stand out with lots of relevant experience and do your research beforehand. Thousands of people contact bars and clubs through Facebook before they arrive but only ask about jobs on Facebook if the page clearly says they are recruiting. If you do arrange a job before you go, then make sure you are definitely going to stick to it, or let the venue know so they can give your place to someone else. The more businesses are let down by people not honouring their commitments, the less likely they are to want to recruit pre-season in the future, so you actually make it harder for the next years workers by changing your mind and not letting them know. If you don’t arrange a job before you go, then don’t worry. The majority of people only get a job in Ayia Napa once they arrive in resort and many will change jobs several times. Asking people already in Ayia Napa to get a job for you before you arrive is generally not a great idea. That person may have to put their own neck on the line for you and you might not work out. It also can make you look like you can't do anything for yourself. You might not like the job, owner, venue or a number of other factors. Always apply for a job directly in person to the business owner. 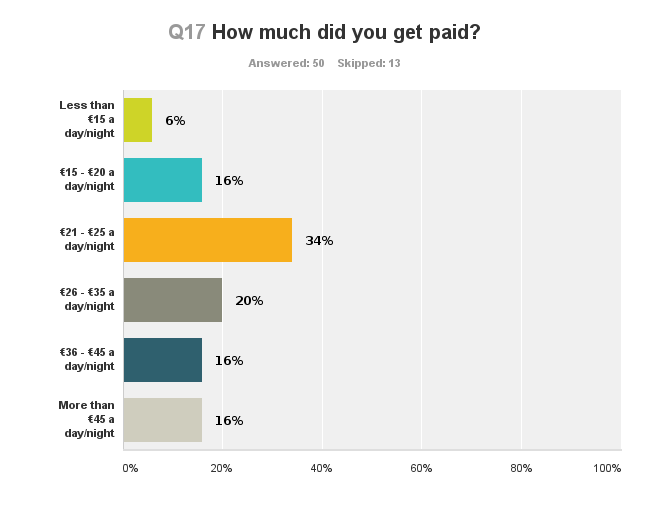 If you're looking for night time work, the best time to approach bar owners is before 10pm as after that it gets too busy and they won't be able to give you their full attention. For daytime work try first thing in the morning, before 1030am. DO NOT APPLY FOR A JOB WHEN YOU ARE DRUNK! If bosses don't think you're attractive enough to pull in the punters, they won't take you on so it's worth going all out to look your best when job hunting. There is no political correctness here, if they don’t like the look of you then you won’t get a job. Even if you're not the best looking but you have an outstanding personality then you should also find it easy to find work. Remember that bar managers may have 20 or 30 people asking them about jobs every night. If you don't have that special something that’s going to make them want to take you on then you'll be forgotten as soon as you are out the door. IF YOU ARE LAZY, SHY OR BORING, YOU ARE PROBABLY NOT CUT OUT TO WORK IN AYIA NAPA. Most people will find something within the first couple of nights, although they may try out several jobs over the course of a season before they find something they like. 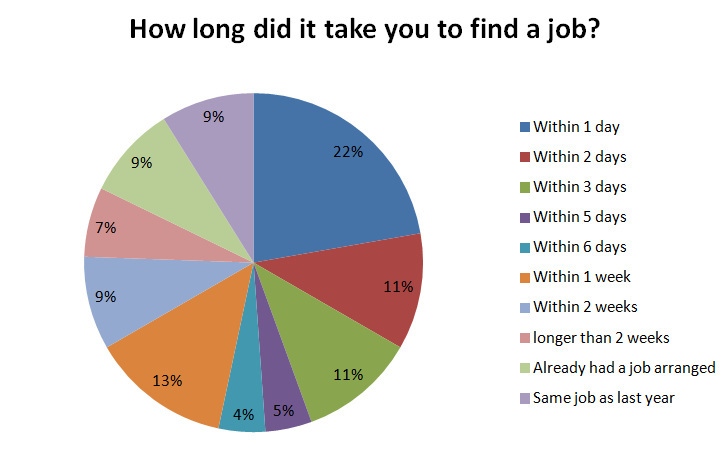 Jobs are harder to come by the further into peak summer it gets and you may need to work free trials to prove you are a better candidate for the job then the other people applying. Business owners will hire and fire who they want, when they want. Don't apply for a job when you are drunk. Show why you deserve the job more than anyone else does. 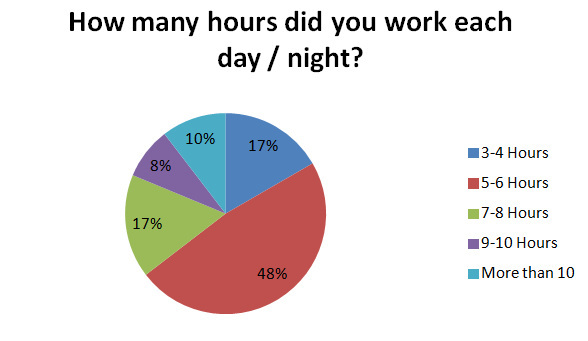 Most jobs require you to work 7 nights / days a week. The winter is when you get time off. Don't apply for a job with a group of friends. Go in on your own and show that you are independent. Don't apply for jobs late at night when staff are very busy. Be prepared to work an unpaid trial, but one night should be long enough to prove yourself. Many jobs pay weekly or even daily but some will pay monthly. Bring enough money to keep you going. Pay can be anything from €10 - €40 a night/day. If you're very good you can earn more than if you are just average. Don't turn up for work drunk. If you leave a job on bad terms, expect most other business owners to know about it within a few days. Ayia Napa is a small town, if you get a bad name it will stick. If you have a daytime job, don't turn up straight from the night before without sleep and a shower. For the best pick of jobs arrive in May for the whole 6 months or for 3 months, or come in August for the last 3 months. Coming out in July is the hardest time in terms of finding work. Do speak to other workers at anywhere you are hoping to get a job. Don't assume you are the best there is or the best there ever was. Don't bring heavy, smart outfits to wear. Admit it if it does not suit you. Go home and save Ayia Napa for holidays. You can be hired and fired at the whim of your employer with no explanations given. If you do get sacked you are unlikely to be paid any wages due to you. Don't pester people too much on line or by email for jobs or advice, especially in the summer when everyone is busy. You can find plenty of good information on Facebook groups and on-line but there is only so much people can tell you in advance. Use your initiative and go and find out for yourself. Work is usually on a casual no contracts basis. Officially many of the jobs such as being a PR are illegal and anyone working without a residents permit and paying social insurance is also working illegally. Police do sometimes issue fines (usually paid by the employers) This does not stop thousands of people working on this basis every summer. If you commit to work before you arrive, make sure you stick to it. If you’ve never been to Ayia Napa before and are not sure whether you will stay or not then wait until you arrive before you find a job. You might not like the job but be obliged to do it if you have had flights and/or accommodation paid for you. The job advertised may not be anything like the reality.